?100 levels of static (optional). ?The levels can be altered by use of up & down button. ?A tone button activates a tone on the receiver. ?The receiver will TURN OFF if it is unused for 4 minutes. ?Any movement will activate the receiver into STANDBY MODE. ?The transmitter will go into STANDBY MODE if there is no operation after 20 seconds and turn off after 2 minute. ?Adjustable belt length, maximum diameter of 18cm, two pairs of metal prongs to suit dogs with varied fur thickness. Collar length adjustable from 35cm to 58cm. * 250 meters away from the control. 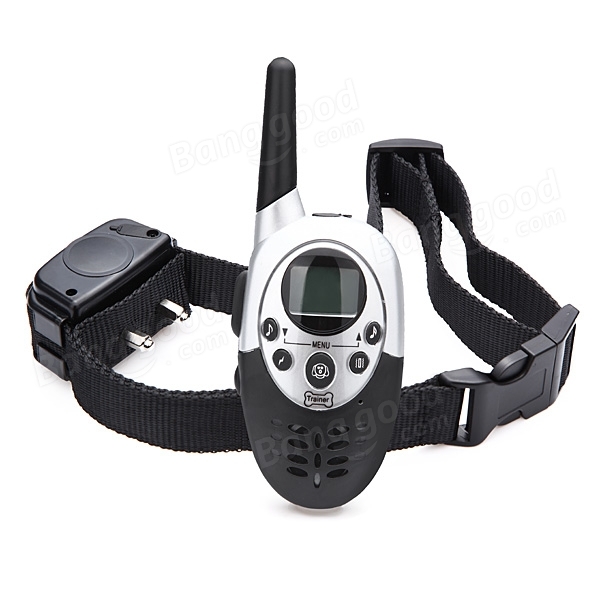 * Lightweight and non-obtrusive collar . * The static impulse can quickly and effectively curb the improper deeds of the pet. * Convenience of easy-to-read LCD screen shows the stimulation level. 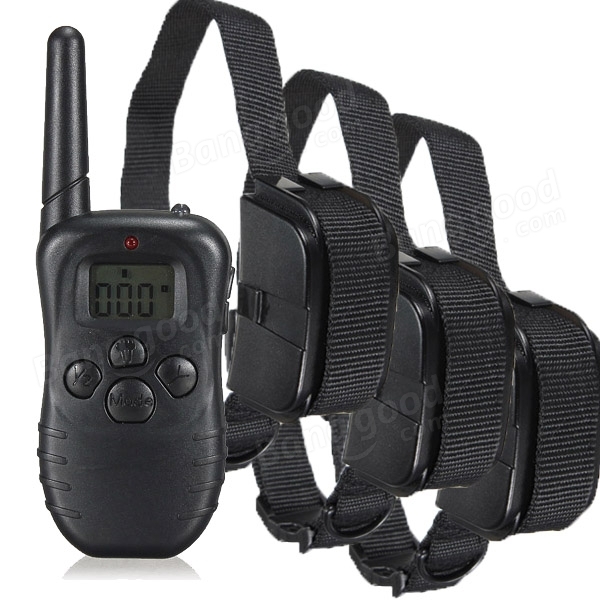 * Provides a professional 100 level shock & 100 level Vibration with LCD Remote Electric Training Collar. * The strong static impulse can penetrate the hair of the pet and fabric within 6mm thick. It is unnecessary to let the discharging point touch the skin of the pet. Therefore it is safe for the pet. * With the movement induction power switch in the collar receiver, it will turn on/off automatically to save power. * Adjustable the length of belt to fit most kind of dog from 10 lbs to 120 lbs.